In this guide we are going to show you how to enable Windows 10 Night Light feature on desktop PC, laptop and tablet devices that will change the color temperature and texture according to your requirements. It’s a norm in tech industry that once a new concept becomes popular others start to emulate it albeit with different names but with the same overall functionality. Developers don’t take long before they manage to copy the popular features of platforms other than that of their own with small tweaks and a new name. In iOS or macOS, there is a feature named Night Shift, which turns display into warmer colors to reduce eye strain. Taking inspiration from that concept, Windows developers have also managed to bring similar feature on Windows 10 devices, which displays warmer colors for less strain on eyes. 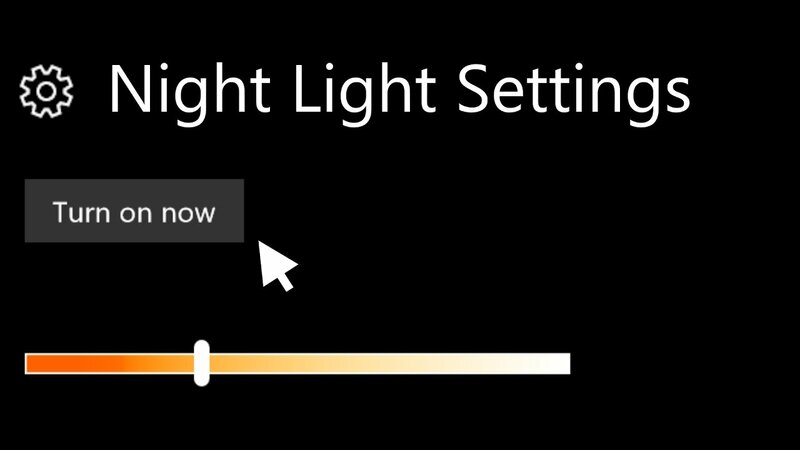 This new Night Light mode in Windows 10 is definitely a welcoming addition that will benefit users who tend to work late in the night. So, if you want to get this feature on your Windows 10 device, then follow the steps in the guide below to get it running. But before you start make sure you have Windows 10 Creators Update installed on your device as this Night Light feature only works on it. Step 1 – Since most of the new Windows 10 feature are controlled via Settings, so you would need to go to the native Windows 10 Settings app. For that, click on Start menu button and type Settings and click it from search result or simply click on Settings icon in the Start menu. Step 2 – Now once you are inside Settings, go to System > Display which will take you to the display settings area of your Windows 10 device. Step 3 – Here, select on the Display option on the left window-pane and on the right-pane you will see a new Night Light feature. Simply turn the toggle under Night Light option to ON position. Step 4 – This is enable the Nigh Light feature but the color temperature of the display may not activate right away. 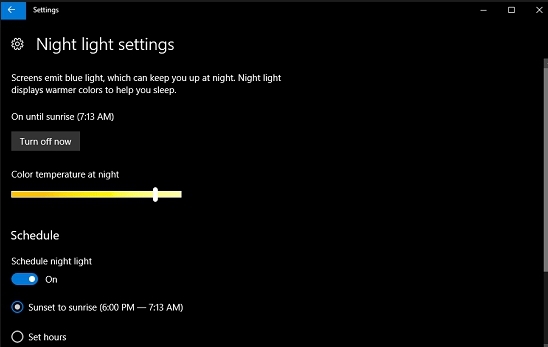 This is due to the (off until…) time shown in brackets next to Night Light option – basically this is the time that Windows 10 automatically determines based on your device’s location and turns ON the Night Light when the sun sets in your area after which it will be activated automatically. Step 5 – If you like, you can let the system automatically determine the time of the sunset in your area and turn the color temperature automatically when the evening starts. However, if you want to turn on the Night Light mode immediately, then click on the Night Light Settings option just below the toggle switch and click on the Turn on now button to activate it. Step 6 – Here, you can also change color temperature manually using Color temperature at night slider. Step 7 – Once done, you can exit the Settings and enjoy better color temperature in low light condition for less strain on eyes. 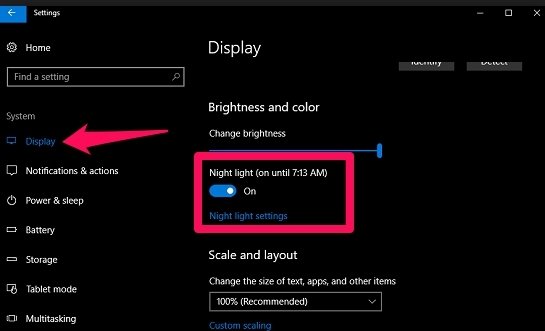 If you don’t see the Night Light in Settings, its because your device is not running on Windows 10 Creators Update. Instead of waiting for the official OTA update from Microsoft, you can manually update Windows 10 to the Creators Update using ISO files, which you can download free from this link along with instructions on how to install Windows 10 using ISO image files.